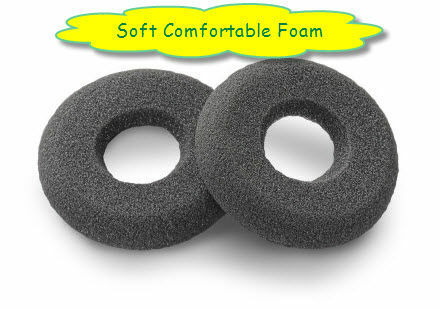 Plantronics foam black donut ear cushions provide soft, all day comfort when wearing a Plantronics SupraPlus headset. or any other headset in the Supra and SupraPlus range. These ear cushions are also a very good replacement for the discontinued Claria headset donut ear cushions.